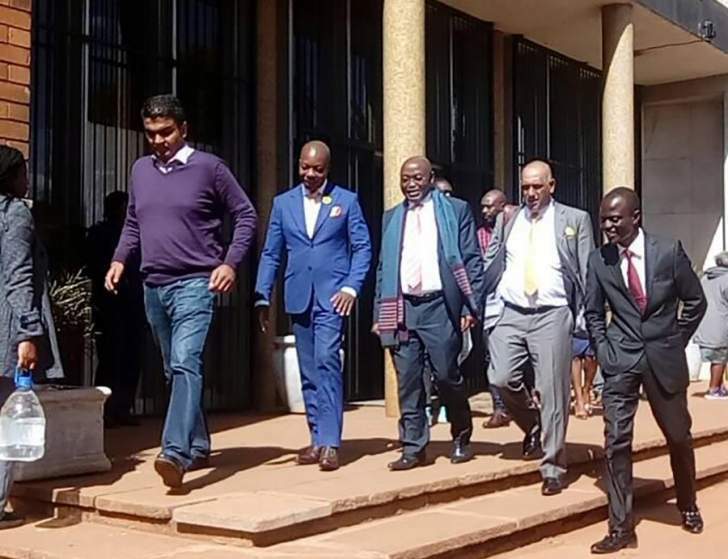 Former Highfield legislator Psychology Maziwisa and ex-ZBC news anchor Oscar Pambuka yesterday applied for bail pending appeal at the High Court in a case in which they were sentenced to 30 months in prison for duping Zimbabwe Power Company (ZPC) of over $12 000. The pair was jailed last week by Harare magistrate Mr Lazini Ncube. They made the application through their lawyer Mr Jonathan Samukange. Mr Samukange said in jailing Maziwisa and Pambuka 30 months, the magistrate was too harsh as his clients were first offenders. "You are human your worship, you might have made an error or might have been a little harsh in sentencing them. They might get a lighter sentence at the High Court. "Another court might have a different approach. The State will suffer no prejudice by giving another court a chance to look at the case," said Mr Samukange. He said the trend now was to sentence first offenders to community service. The prosecutor Mr Michael Reza opposed the application, saying the appeal had no prospects of success at the High Court. Mr Ncube is expected to deliver his ruling today.